Common with Protestants worldwide, All Villages recognizes Baptism and the Lord’s Supper as sacraments, given by God as signs of the real presence and power of Christ in the Church, symbols of God’s action. 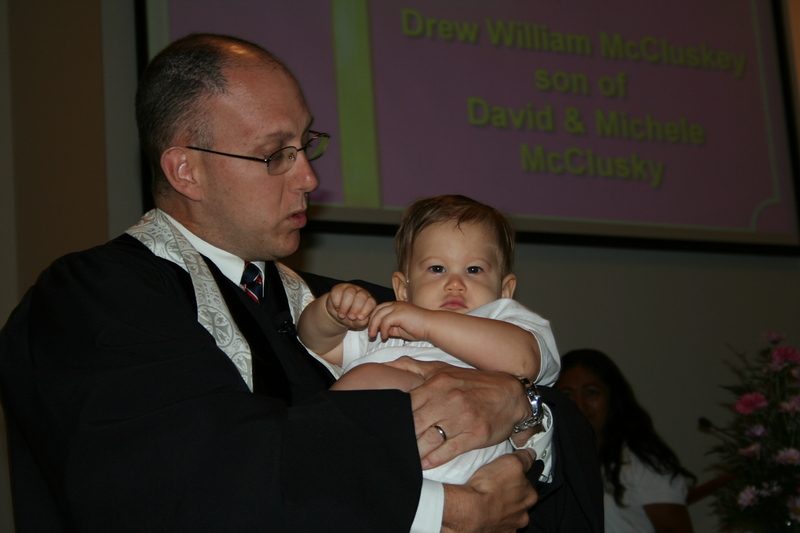 In our congregation the Sacrament of Baptism is celebrated and is preceded by conversations with the pastor. Since baptism is the act of welcome by the whole church, the sacrament is celebrated within the context of Sunday morning worship (with rare exceptions). For more information on baptism, or to inquire about a specific date, you may contact the CHURCH OFFICE. The Lord’s Supper is celebrated once a month. “The Lord’s Supper is the sign and seal of eating and drinking in communion with the crucified and risen Lord.” We have an “open table” meaning that baptized Christians of any denomination or membership are invited to share the sacrament. 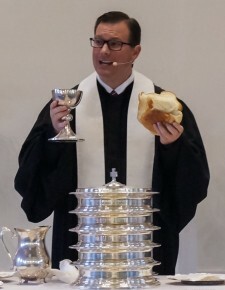 Our services vary but we serve communion in one of two ways: by passing the bread and individual cups in the pews by officers of the church or by coming forward and receiving the elements by intinction (bread is dipped into the chalice). The Lord’s Supper may also be celebrated at weddings, special services or in the context of a home or hospital visit.